WASHINGTON (AFP) – Iraq’s Prime Minister Nuri al-Maliki predicted it “will not be long” before US troops can start withdrawing from his country but would not commit to a timetable. Maliki said in an interview with CNN that Iraqi security forces were growing stronger alongside the 138,000 US troops still in Iraq nearly three and a half years after the invasion to oust Saddam Hussein’ “The more our security agencies have developed, the less the period will be for the (American) forces to remain,” Maliki said through an interpreter. Voters everywhere agree political system "badly broken"
Percentages range from a high of 63% in Vermont to 47% in Nebraska, but all point in the same direction. The Rasmussen Reports surveys were conducted as part of a series of Election 2006 polls on Senate and Governor’s races across the nation. You Wouldn’t Catch Me Dead in Iraq!! Scores of American troops are deserting – even from the front line in Iraq. But where have they gone? And why isn’t the US Army after them? Peter Laufer tracked down four of the deserters. 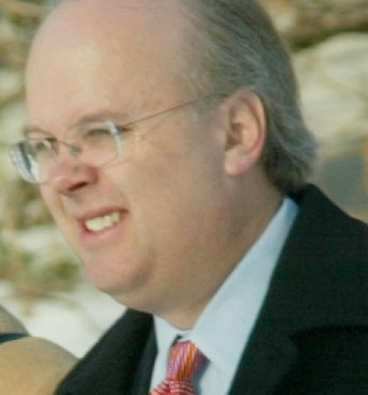 PRINCETON, NJ — A recent USA Today/Gallup poll finds that Americans have a more negative than positive opinion of presidential adviser Karl Rove, a pattern that has been consistent over the last year. Rove’s current ratings have recovered somewhat from the low point measured in April, shortly after some of Rove’s White House duties were reduced and as reports continued to suggest Rove might be indicted in the CIA leak investigation. His current ratings are roughly in line with his ratings from last October. Nearly 4 in 10 Americans say Rove has too much influence over the decisions the Bush administration makes. Views of Rove are predictably divided along partisan lines; Democrats are more critical than Republicans in their overall opinion and a majority of Democrats say he has too much influence over the Bush administration. An Enron twist: convicted but not guilty? HOUSTON – If someone is convicted of a crime and dies before exhausting all his appeals, is he innocent? That’s the question now challenging federal prosecutors in the latest twist of the Enron case. A legal precedent could clear the record of Enron founder Kenneth Lay, even though he was found guilty of six counts of conspiracy and fraud, because of his sudden death last month. The move could also make tens of millions of dollars in his estate off-limits to creditors.